Google’s here, and it’s planning something big. The company’s presence is impossible to miss as you drive down Paradise Road toward the Las Vegas Convention Center. Like much the rest of the show, the company’s parking lot booth is still under construction today, but the giant, black and white “Hey Google” sign is already hanging above it, visible from blocks away. It’s a slightly altered reconstruction of the whimsical invite the company sent out ahead of the show, right down to the neon blue looping slide connected to the side of the temporary structure. 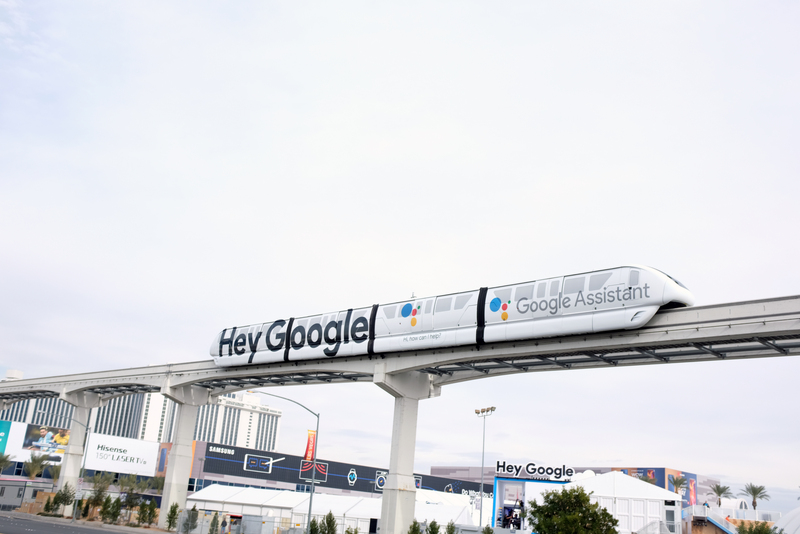 Then, just as you’re wondering how the company could have pumped more into the event, two trains barreling in opposite directions pass one another on the Las Vegas monorail track out front, each baring the words, “Hey Google,” in bold, impossible to miss letters. Like the trains that bare its name, the company’s gone from 0 to 50 at the show with seemingly no ramp up. Outside of third parties building on top of its software solutions, Google’s never really had much of a presence at the event. All of the sudden, it seems, it’s everywhere. There’s some precedence for this, of course. At Mobile World Congress last year, the company put on a massive showing, complete with smoothies and Android sand sculptures. Of course, a strictly mobile show made sense for the Android maker. CES is a much bigger and broader beast. But the through line is the same. At MWC, Google’s presence was all about Assistant on the phone. In this past year, the company has made a much more aggressive push to compete with Alexa in its quest to control the smart home. In 2017, it launched a family of Home products, brought a new pair of smart earbuds and began seeding Assistant onto smart speakers from third-party manufacturers. That last bit, it seems, is a key to the show. 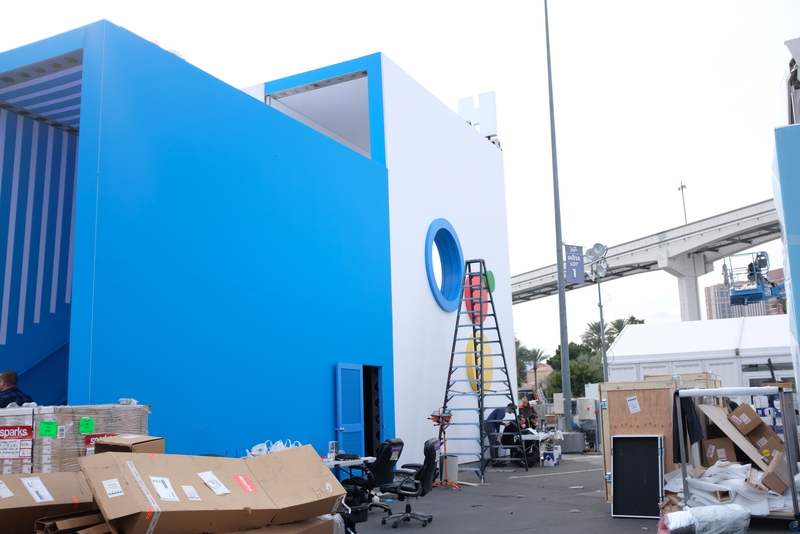 It’s tough to say if the company is going to launch additional first-party products at the show, bucking its trend of launching at its own events like I/O. But CES is the perfect showcase to go next level with those partnerships. All of its major hardware partners are here — Sony, HTC, Lenovo, LG and the like. Samsung may not have the most incentive to join up, assuming its planning to build out Bixby, but everyone else has a lot to gain from helping build out the Google ecosystem. Following Alexa’s path by moving off the smart speaker and on to other household items seems like a no-brainer at a show like this. And for Google, it’s the perfect opportunity step out from Alexa’s shadows and assert its in the smart home space once and for all.